Pillow Girl was originally a sound-art work created for an invitational at the Museum of Contemporary Art Denver. 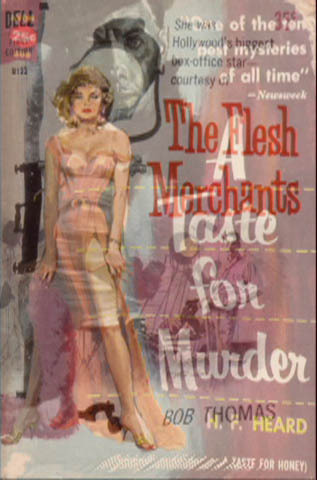 Artist/musician/filmmaker Ronnie Cramer scanned the covers and inside pages of a number of lurid, vintage paperbacks and magazines, then ran the collected image and text data through a variety of synthesizers. 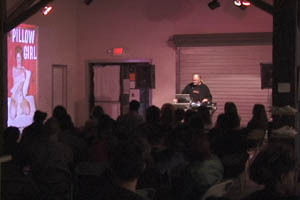 The resulting sound files were then processed and remixed into a collection of electronic soundscapes called Pillow Girl and Other Songs of Romance. 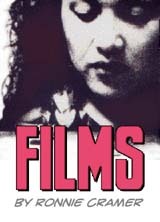 Elements that make up this 'music' are re-mixed to create the soundtrack for the Pillow Girl film. 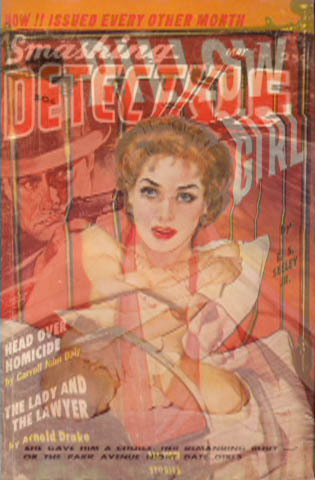 The visual portion of the piece makes use of the covers themselves, with the illustrated figures coming to life and morphing into one another during the course of the presentation (each cover is visible in its original state for only 1/30th of a second). 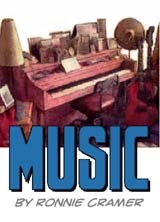 Over 200 covers are presented in this fashion. In addition to being a colorful and impressive visual display, the images presented in Pillow Girl are a vivid and fascinating historical encapsulation of how women have been depicted in popular culture. 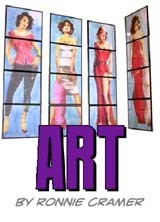 The Pillow Girl presentation was further augmented by an optional series of multi-panel, pulp-figure watercolors. They can be seen at Ronnie Cramer's art website. A chapter devoted to the production of Pillow Girl appears in the book Animation Practice, Process & Production, edited by Paul Wells and published by Intellect Journals (ISSN 2042-7875).